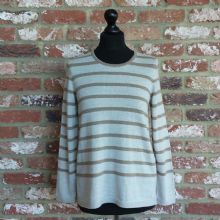 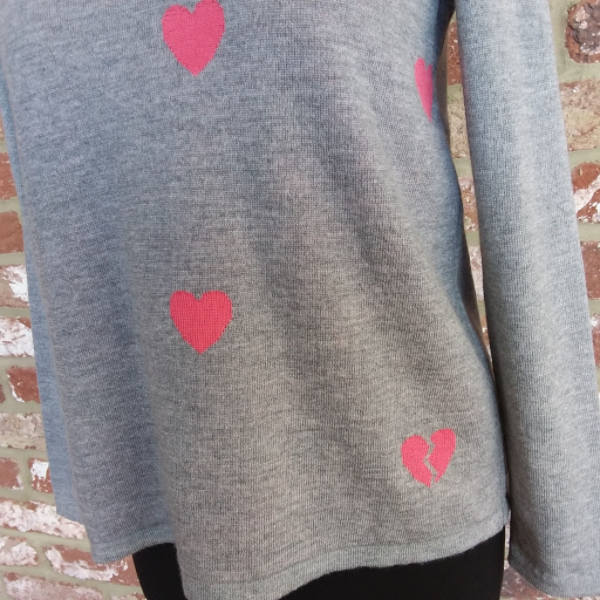 Here's another gorgeous new jumper to add to your collection! 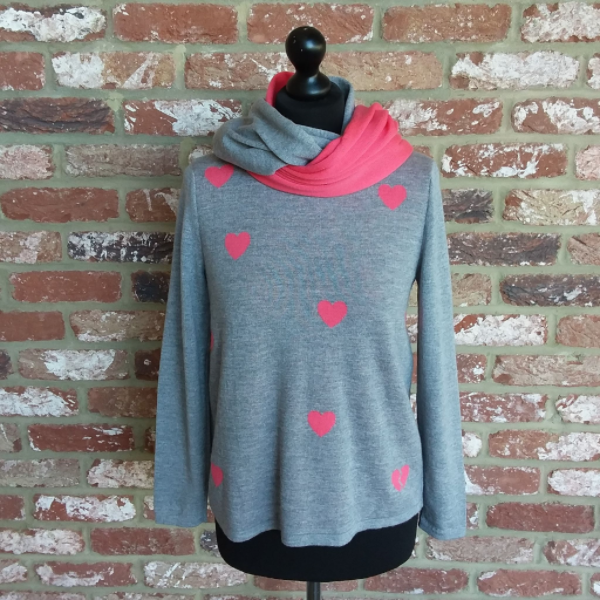 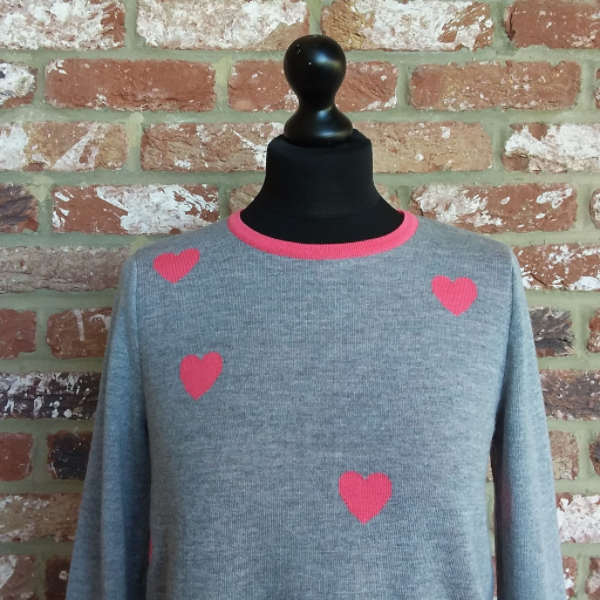 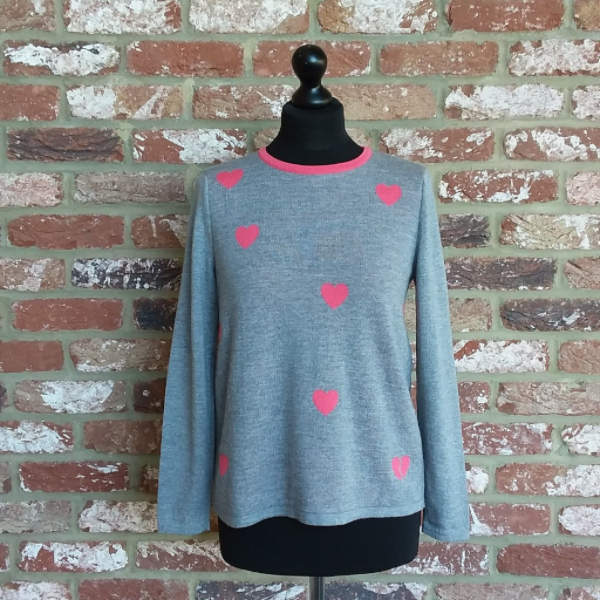 Featuring contrast piping at the neck and a series of pretty little hearts, our Heart Jumper offers a relaxed fit and enough shape to wear with either trousers or a skirt. 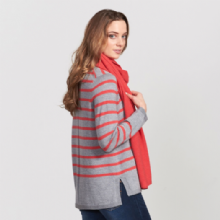 Supremely soft to the touch, it is woven in New Zealand from the finest quality super soft, extra-fine merino. 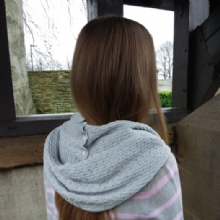 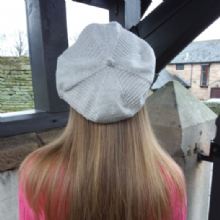 Available in light pewter and peony, why not team with our matching Hope Infinity Scarf in the same colours, or even a rib and cable hood, a pair of wristwarmers and one of our cute new season berets in light pewter.